Many students don't like the topic in A-Math known as 'Kinematics'. My guess is that it is linked closely to Physics which is a subject not favourited by many too. I hope you find this list useful. 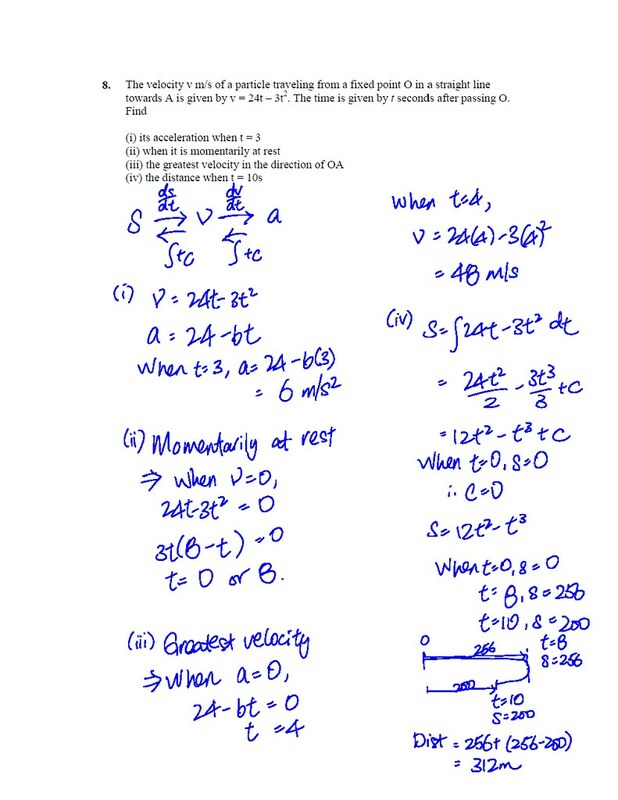 I would like to hear from you how you find Kinematics in Differentiation & Integration. Do you like it or dislike it? Leave me a comment.